What a week! I’ve had many wonderful emails, messages and social media posts from readers who’ve enjoyed RETURN TO ROSEGLEN and they’ve made this author very, very happy. Writing can be so solitary and the payoff for all those hours locked away with my characters is knowing my writing has touched someone. Thank you all for taking the time to let me know. I was absolutely delighted to find the Librarians Choice of Australia have include it on the Top 10 Reads for July and AusRomToday has it as the book of the month for July. Big W has sold out in the Geelong area and readers have also reported no stock left in their stores! Ivy and the girls have stayed in the Top 200 iBooks list for two weeks and they’re also hanging around the Top 200 on Amazon Australia for contemporary fiction. And lastly a very big thank you and cyber-hug to those of you who’ve left reviews on Goodreads, Amazon, iBooks and other sites. More and more we shop on community recommendations so reviews are a great way of supporting authors. 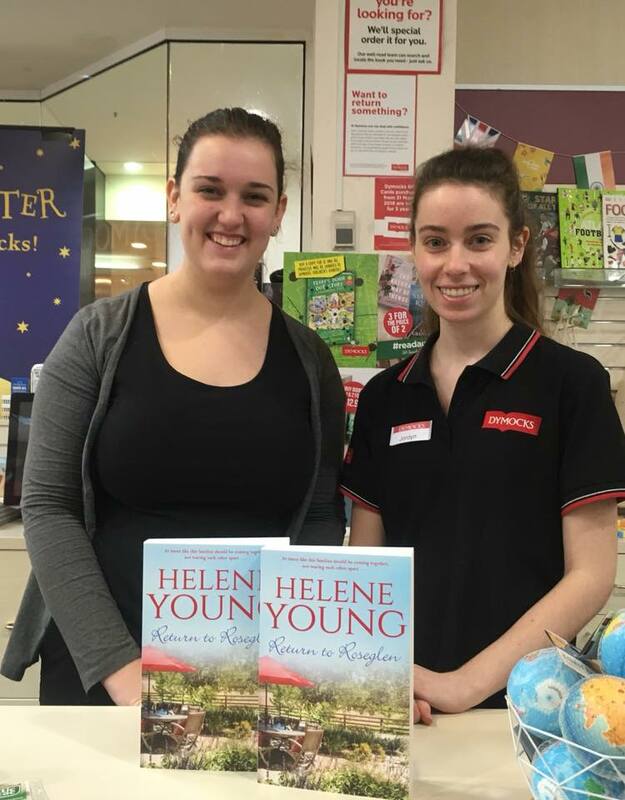 I’ll leave you with a couple of photos of lovely booksellers – Kerstin from Collins Booksellers Smithfield and the girls from Dymocks in Geelong. Without the support of local booksellers a book’s day in the sun would be very short indeed!! 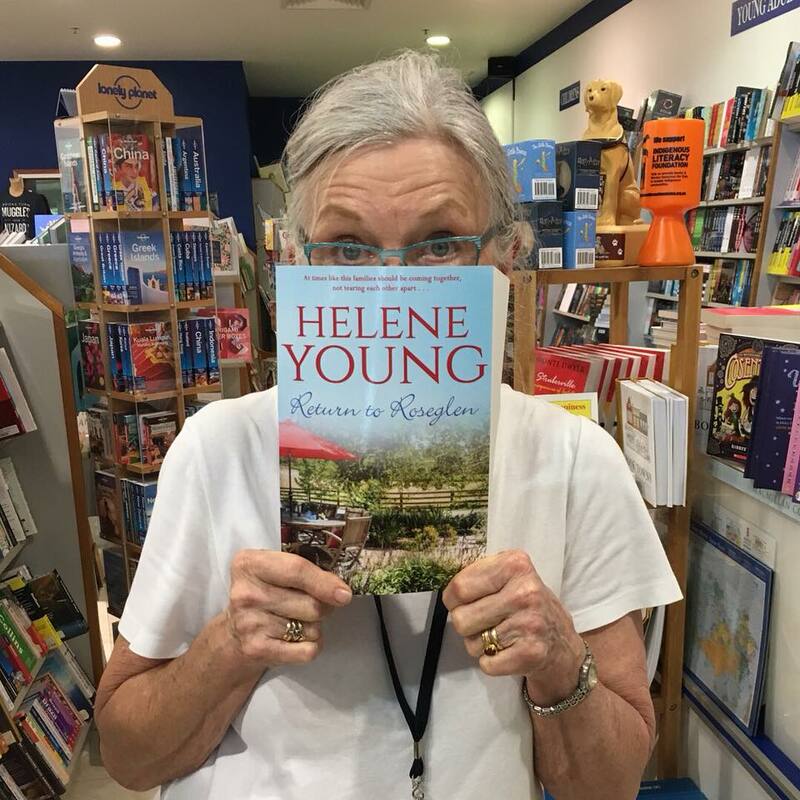 Blog #penguinbooksaus, Ausromtoday Aus Rom Today, Booksellers, Collins Booksellers Sm, Dymocks, Dymocks Geelong, Geelong, Librarians Choice, Penguin Books Australia, Readers, Reviews, Writer. permalink. Woo hoo, you can now trade in Rooby for the latest model And away you go again! Ha, ha! There’ll be no trading Roobi on a writer’s wage, Sue 🙂 Although if we could just entice Cate Blanchett or Nicole Kidman to turn one of my books into a movie?? Thanks, Carolyn, I’m done some work on the next one today in between finishing off a workshop for next weekend, discovering I had a whole stack of Tweets I’d missed and being on anchor watch! The night is calm now so I’m ready to curl up with a book after dinner but I promise it won’t be so long between books this time!